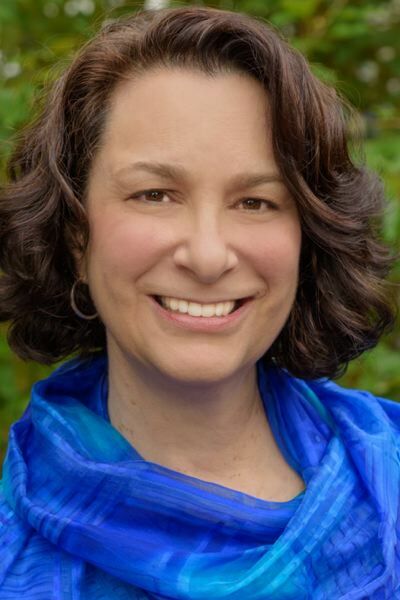 Ellen Notbohm's first novel, "The River by Starlight," (She Writes Press, $16.95), recently won the 2018 Independent Book Publisher Awards Gold Medal for Best Regional Fiction, West-Mountain. Set a century ago, the sweeping saga is about Annie Rushton, a character whose life plays out against a backdrop of love and a fair amount of trouble. Tribune: How do you describe your novel to people who haven't read it? 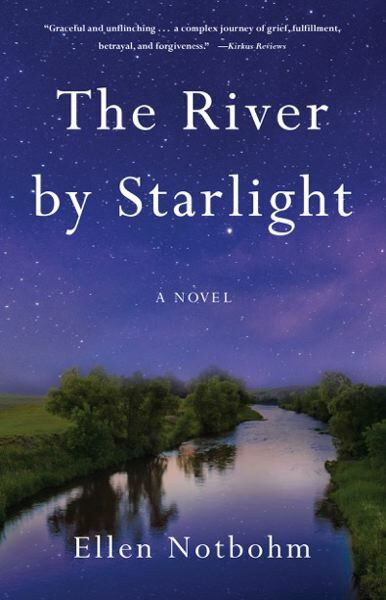 Notbohm: "The River by Starlight" is literary historical fiction based on the true story of a couple whose passionate union and entrepreneurial success unravels in the face of little-understood perinatal and postpartum illness. Though set a century ago, the themes resonate powerfully today: the stigma of mental illness, the inadequacy of mental health care, stark gender inequity, climate disaster, ruinous real estate boom-and-bust. Maternal mental health is a subject rarely addressed in historical fiction, a woman's story, but "River" also dives deep into a male point of view, a story even less told. Tribune: Tell me about your research, and some of the real-life experiences that shaped the story of this frontier Montana couple, Annie and Adam. Notbohm: Research covered 10 years, 20,000 miles, six states and provinces, 40 libraries and archives and a mile or two of microfilm. Annie and Adam's story came from divergent backgrounds that shape their relationship issues, and Annie's illness thrust both of them into roles and choices for which they had no resources — emotional, financial or societal. Throw in the events of the era — drought and war contributing to the banking and homestead bust of the 1920s, the 1918 flu pandemic — and it became a pile-on to which each responded very differently. Tribune: This is your first novel, but you've written nonfiction books about autism. How were the writing experiences different? Notbohm: I'd published four books on autism and a series of history articles when I started writing Annie and Adam's story. In my nonfiction writing I had conveyed emotional journeys into the perspectives of others, so the path was there. Although fiction, I still had to ask myself, "Am I portraying the message they would have wanted?" And then, "How much literary license is needed, [what is] too much?" Tribune: Annie goes through many horrible experiences, most centered around childbirth. Why so many trials? Notbohm: Her miscarriages and episodes of perinatal/postpartum mood disorder are what the record reveals. I've never learned the why of it. Even today, we're still learning about the role of genetic factors, neurological triggers, environmental influences — and just plain bad luck, an explanation offered by a physician friend of mine who acknowledges it as, of course, the one we never want to hear. Tribune: Annie is a strong, brave woman, but calamity strikes often. How much is she buffeted by the times in which she lives and prevailing gender roles? Notbohm: All but incessantly. Her fate was in the hands of the all-male law enforcement, judicial and medical systems of the day, which in turn also answered to the court of public opinion. She had to learn, as all women still do, what she could affect and what she couldn't. It often seems she's powerless and fragile, but the real story is her tenacity and resilience, her ability to reshape her life into a meaningful whole and claim control over her own destiny. Tribune: You're Portland-based. How does geography impact what you do as writer? Notbohm: We're all deeply influenced by both the physical and cultural geography around us, and I knew that communicating a compelling sense of place in both those ways would be essential to writing a believable novel. I made six research trips to the various settings in the book, literally walking in the footsteps of Annie and Adam. Tribune: What do you hope readers gain from reading your book? What did you most want to share or communicate with them? Notbohm: What we now know to be a bona fide medical condition cost Annie nearly everything that matters to most of us. I wanted to tell her story in a way that would heal griefs and injustices, and to tell it not as a tragedy, but as a triumph of courage, love and the human spirit. I also hope it will not be lost on anyone that the book's themes are still painfully resonant today — an insufficient mental health care system, the stigma of mental illness, markedly unfair gender disparity, climate disaster and economic adversity born of man-made foolishness. The story is a history, but that history remains with us. Tribune: What are you reading now? Notbohm: My reading sutra is something older, something newer, something foreign. This month it's Judy Blunt's Montana memoir "Breaking Clean," Portland writer Leni Zumas' dystopian "Red Clocks," and a re-read of Swedish author Jonas Karlsson's parable "The Invoice," a novel I read several years ago and can't get out of my head.